Illustration, Graphic Design and Custom Fairy Wings by Lindsay Turner of Firefly Lights Design. August 31, 2017 by lindsay turner in Festival Costumes, Updates! These little itty bitty fairy wings are just the most precious! I wanted to create something cute and sweet, but also something that could handle travel for music festivals and other events! These little guys come with silver elastic straps as well as a brace in the back if you want to go strap free! 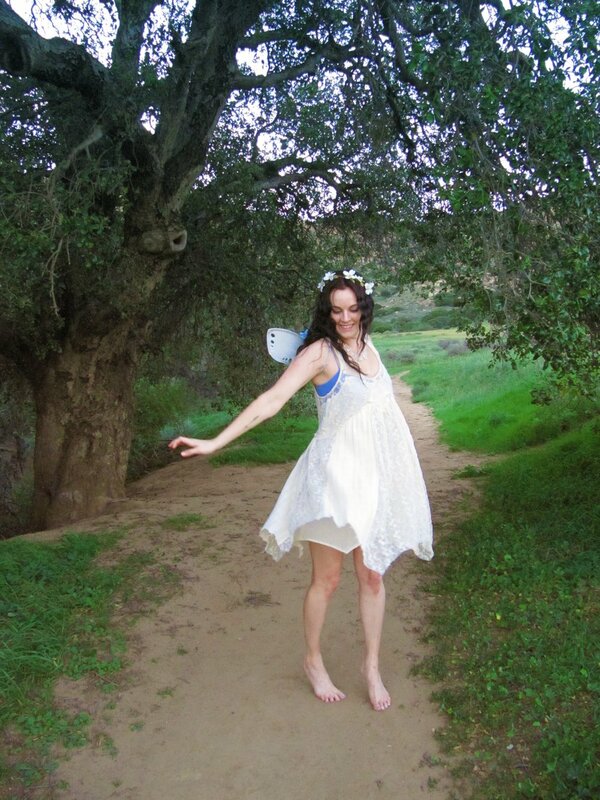 These fairy wings are lightweight yet sturdy, perfect for frolicking and dancing! The itty bitty size also makes it convenient to navigate through a large crowd of people, so nothing gets bumped out of place! These pair of wings come with a brace as well as cute glittery silver elastic straps. You can slide the wings into the back of a sturdy bra or corset, or just use the elastic straps if you aren't wearing either of those! They are hand painted on the front and then sparkly and silver on the other side of the wings. No sparkle has been left out. 2. Tag a friend on this post who would also love to win! Bonus Entries for a better chance to win! 2. The more friends you tag in the comments the more entries you have! Must be 18 and over to win. Outside of USA will help with half of shipping. Giveaway closes at September 14th at Midnight. That's it! It's super simple. The more entries you have the better chance you have to win! The lucky winner will be announced September 16th!